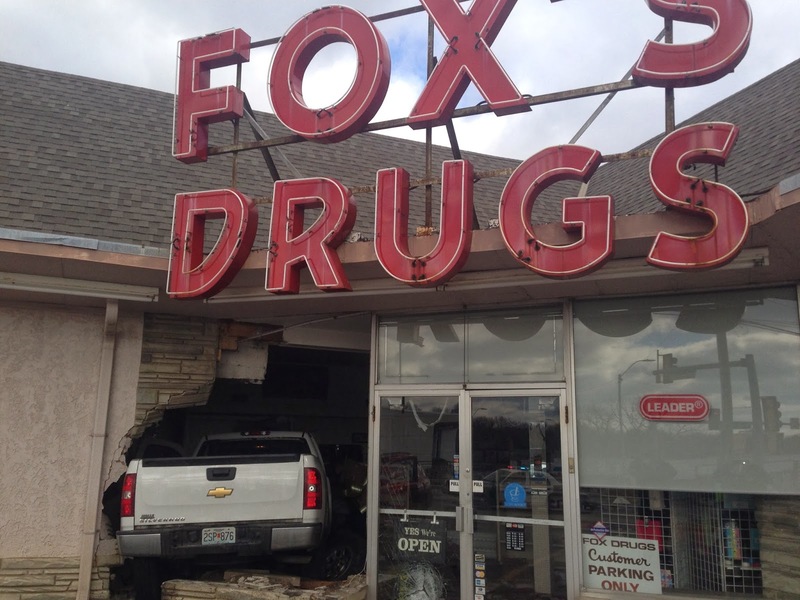 At about 12:30 pm today, a white Chevy pickup truck that was described as possibly a 2010 model crashed into the front of Fox Drugs. 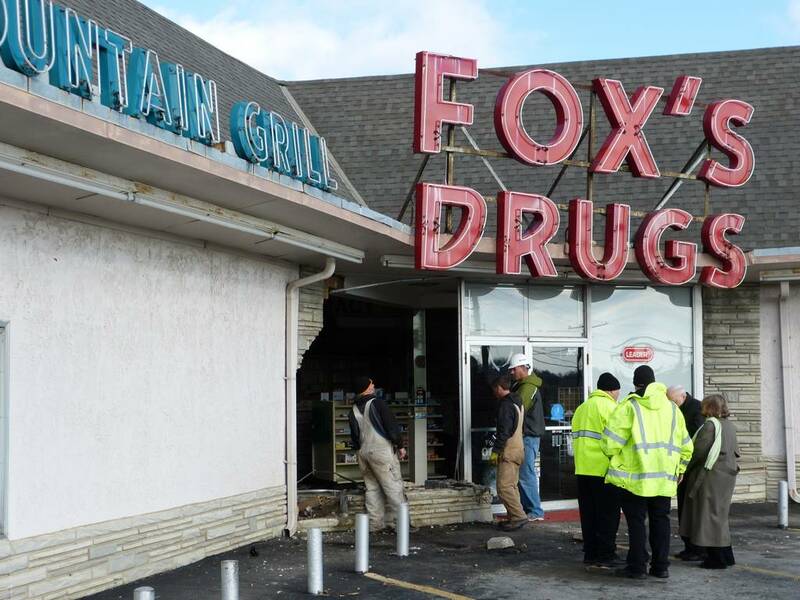 No one inside was injured, but the driver was taken from the scene in an ambulance. One unconfirmed source stated that it may have been a heart attack that caused the loss of control.